OK, OK, so not all of us have had time to go out shopping for gifts or think about ordering them online ahead of time. Some of us have been busy blogging. But, it's time to get serious because, with only a few days left until Christmas, time is running out! In case you're like us and may have been slacking just a little, we've put together a few last minute gift ideas for the ladies in your life from Grandma to Mom and beyond. So, put on your armor, get out your shield, and prepare to battle long lines, crazy drivers, the lady who took the last size small, and more as you venture out to grab these before it's too late! Moms are always on the go, so when they're home, their feet deserve to be pampered in these fur trimmed booties available at the Gap. 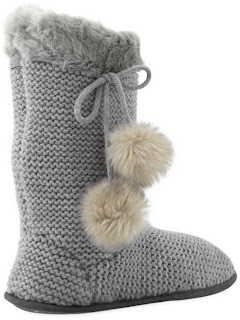 Super soft and warm, they are perfect for cold winter mornings when Dad refuses to turn the thermostat up. If your in a time crunch and can't find these at The Gap we're sure you can find similar ones at Macy's, Kohls, Target, etc. Now, we know we said we like our mugs to be personal. So, if you know the person you're buying for like your sister, bff, or coworker really enjoys a movie/book/tv show, why not get them some merch to go along with it. 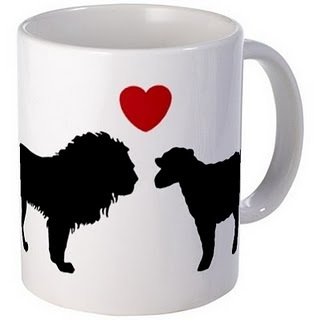 This "So the lion fell in love with the lamb" mug would be perfect for any Twilight fan. Or, if you can't get it shipped in time, check out some local stores like Borders, Barnes and Noble, Hot Topic, or movie stores like FYE to see if they have any available. We recently spotted some Twilight items in a Borders near us, so there's hope for you yet! Stores like New York and Company are having great sales that include up to 40% off your final purchase. Still haven't found something perfect for Grandma? What about a nice and cozy, cowl neck sweater that is sure to keep her warm on those snowy days? Spruce it up with a pretty little pair of silver earrings and you'll be good to go! Does your sister have so many hair curling and straightening devices than you know what to do with? Help her simplify her life with one fantastic tool that can do both! You've probably seen these in the mall somewhere and yes, they actually work. 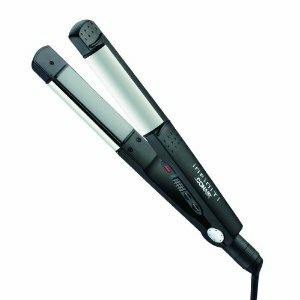 Straighten your hair or curl it using use one stroke - we didn't believe it either but we've seen it happen. Check out this Conair one on Amazon (you can still order from Amazon in time for Christmas!) or just run out to your local Target, Kohls, or Walmart and you're bound to find a similar product. 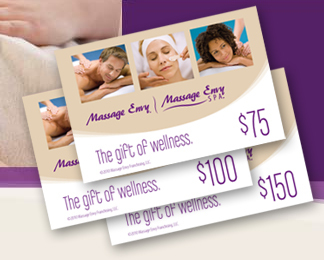 The ladies in your life are busy, stressed, and maybe even a little frazzled at times so what better gift to give than a relaxing afternoon at the spa? Massages, pedicures, facials, and more - she is sure to enjoy a refreshing and rejuvenating day all to herself, or, to make it even more special, go with her and enjoy a little quality girl time together. 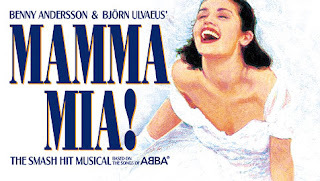 Show tickets! These are not just great gifts for guys, but also for girls! Plan a girls day out and get your Mom, Grandma, Sister, or friend a ticket to see a show or ballet that you've both been looking forward to. Maybe it's Wicked, or Jersey Boys, or the Lion King -- anything you decide on is bound to be a spectacular experience to remember for a lifetime. Buying for a tech geek or avid reader? 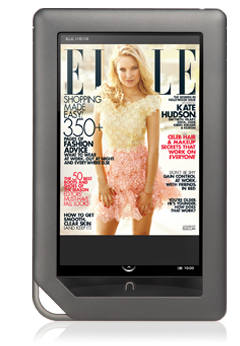 The Barnes and Noble Nook is a great gift for anyone who loves reading. Sure, we prefer to hold books in our hands and feel the pages, but there's no denying the convenience of a product like this and the ability to have thousands of books literally at your fingertips. Now, if only they would make them in "old book" scents... sigh. Anyway, there's just a few days left so, while we hope that helped to give you some ideas for some quality and thoughtful last minute gift items, we've got to run out and pick up some things ourselves! Happy shopping and be sure to stay tuned as we finish the last few days of the 12 Days of Christmas and wrap up 2010 this week. yay you included the nook! also, i have those boots from the gap in red and they are a complete lifesaver during the winter!! i asked for a new pair for christmas this year because mine are so worn out. I like the mug! It's subtle so it'll catch the eye of fellow twilighters without needing to spell out the reference.